There's still room for call centers as they continue to pace the growth in the business process outsourcing industry. Mothers used to scold their children for talking to their friends on the telephone much too long, a preoccupation they strongly associated with laziness or with lack of ambition. During the last several years, however, telebabad--this is how that scorned habit is called locally--has been transformed by the global outsourcing boom into a highly gainful occupation. Tens of thousands of mostly young Filipinos now earn good money by making or answering overseas telephone calls for the hundreds of call centers that have since mushroomed in the country. Today, call centers form the main plank of the Philippine business process outsourcing industry (BPO), which has become one of the major growth drivers of the economy. Most of the call centers in the country have been set up and are being run by multinational companies, but a growing number of local investors are now also actively participating in the outsourcing boom. They are going into market niches that the big-name players have not gone into due to economies of scale. One such homegrown BPO is Six Eleven Global Services, a 200-seat call-center operation based in Davao City that was put up by the Bian family in March 2006. It started out as a 16-man affair. Less than two years later, they expanded their outbound telemarketing service to the United States by opening another facility in Quezon City in 2012. Having no experience in any contact center capacity, the Bians approached their new business venture with caution. Michael Bian, Six Eleven's president, shares that his company had to learn from scratch. Michael is a son of Joji Ilagan-Bian, a prominent business leader who used to be chairperson of the Mindanao Business Council and is now, among his other responsibilities, the spokesperson of the Philippine Call Centers Alliance. Michael says: "We had no experience in this line of business, so we brought in people with call center experience to help us start out. Our core business at that time was running schools, so we learned all our lessons the hard way." How does a prospective entrepreneur put up and run a call center? 1. Initial investment—A call center business is a capital-intensive venture, so you need to decide whether you can manage to go solo or need to take in partners or co-investors. To begin with, a call center agent typically needs a working area of 4 sq m. Based on the average Metro Manila lease prices of P450 to P500 per square meter, this adds up to about P2,000 per call center agent. Add to this P70,000, which is the total cost of furnishing the agent's cubicle with a computer, telephone line, headset, table, chair, and a typical callcenter seat. The total outlay will be about P72,500 per agent. Since 10 seats are the minimum needed for a contact center, the minimum investment required would be P725,000. Overall, the investor needs anywhere from P1 million to P1.5 million to get his contact center up and running. Industry analysts estimate that it would take two-and-a-half years for a well-managed call center to break even--a turnaround time that's quicker than that of most industries. 2. Size isn't everything.—In terms of managing investments, it would be a good idea to start with a lot of seats so you can cater to bigger clients right away, but there's no shame in starting small. The trick is to look for a US counterpart who fits the profile of who you want to work with and who wants to work with you. There has been a big change in this sector lately: foreign companies that are also SMEs now also see the advantages of outsourcing. And based on Bian's experience, American SMEs prefer to outsource their business to other SMEs in the Philippines because big call centers usually find the needs of US-based SMEs too small for them. Most clients require a minimum number of contact center seats before they will do business with you. It can range from as small as five on trial basis to 100 or more for the actual operation. 3. 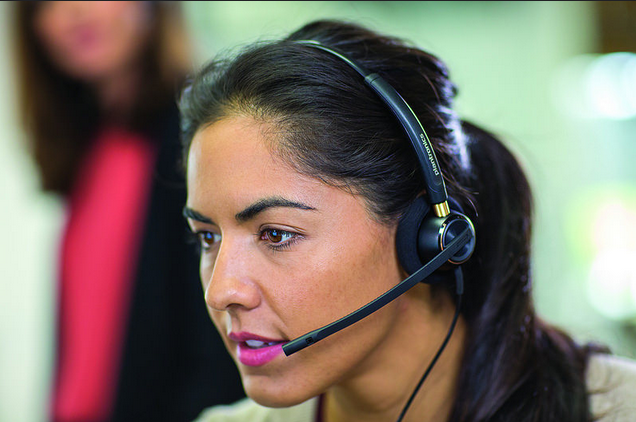 Graveyard shift applies to all, including the owner.— Although operating a call center can pay huge dividends, pitfalls abound in the business as well. Among the things one must prepare for is working for another time zone. The investor himself or herself should be prepared to work during graveyard shifts to properly manage both the manpower and the technical side. Business decisions in call centers, particularly if you are talking directly with your US clients, are usually made at night, so at least initially, you must be willing to sacrifice not just money but your own time and sleep as well. Is it your first time to invest? 1. You need to research on the equipment you want in place in your contact center, from the computers to dialing equipment and so on. In terms of technical resources, you will need a voice switch, multiplexers (for data and voice transport), modems, routers and servers, headsets, desktops, telephone circuits for the connectivity, ACD (automatic call distributor), and several other telecommunication equipment. 2. Find a client in the US willing to outsource his work to you. The complicated part is being able to get a recommendation and arranging a meeting with a potential client. A good way to do this is to surf the Internet and look for companies that are in your market range. You can then send a proposal to them. If your proposal is accepted, a trial period may then be discussed. A client satisfied with your trial service may give you a service deal ranging from one to five years. 3. Look for people you can depend on to sub-manage and look for the right agents. As call centers are very service-oriented, they depend mostly on the agents and the managers to keep the business going smoothly. You therefore must make sure that what you want as an investor is firmly explained to the managers and relayed to the agents. 1. Equipment costs are on the way down. The prohibitive cost of equipment was the main reason why the local call center industry used to be dominated by multinationals. This is no longer true today, says Bian: "At this point, the cost of equipment has dwindled, thus opening the door of the BPO industry to local SMEs." When making purchases for a call center operation, try to buy the computers in bulk to save on costs. Avail yourself of promos offered to businesses by the telephone companies. 2. Foreign SMEs have seen the wisdom of outsourcing. One of the big shifts in the contact center business is that like their bigger rivals, even medium-sized foreign companies are now also interested in outsourcing. Because SMEs prefer working with medium-scale companies like themselves, this presents growth opportunities to locally operated contact centers. Explains Bian: "Multinational clients prefer to deal with multinational call centers and SME clients prefer to deal with SME call centers. This is because the arrangement puts both parties on an equal footing, giving them mostly the same expectations on how to make the business work."